Kanye West says he was taking a page from the Land of the Rising Sun with his waaaay too small Yeezy slides. Ye is firing back at everyone who mocked his choice of footwear earlier this month at 2 Chainz‘ wedding, saying his feet ARE acceptable … in JAPAN!!! Take us to school, Kanye. Or, should we say, sensei? 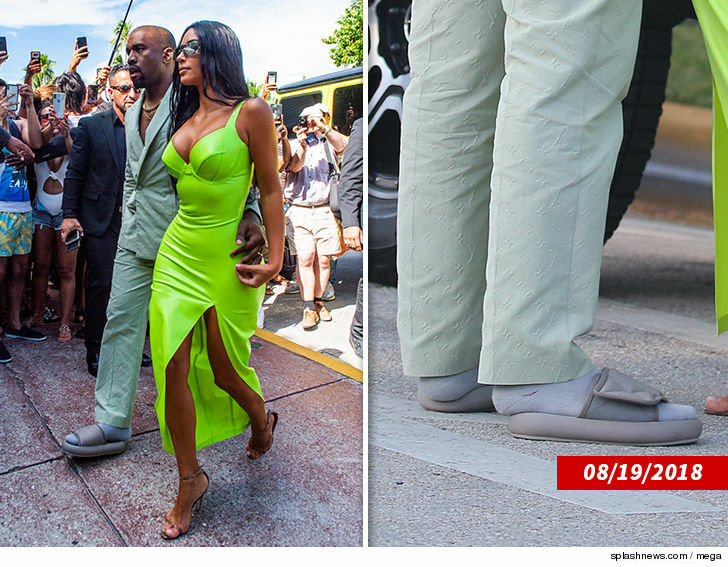 You’ll recall … Kanye made the Internet go absolutely crazy when he showed up at the ceremony, with Kim Kardashian West, rocking those infamously small sandals. Look, we’ll admit … on first sight, we gave Ye some grief over his style choice. Apologies to Japan, must’ve been lost in translation. Don’t forget, the slides will set ya back $150 … so, they better be acceptable somewhere!!! Tyga — This Just In … He Paid His Debt!! !